Dragon Ball fans mark your calendars! BANDAI NAMCO Games and Osaka, Japan-based developer DIMPS is giving players a chance enter the Dragon Ball world with fully customizable avatars and change its storied history as DRAGON BALL XENOVERSE will be launching in the Americas on February 17th, 2015! For our most avid fans, the game will be available in a limited “Day 1” Edition that will include an exclusive playable character in the form of Super Saiyan 4 Vegeta and two special Frieza Soldier’s Battle Suits offering players the chance to sport both Gold and Crystal outfits. DRAGON BALL XENOVERSE will also feature characters from Dragon Ball GT along with a brand new World Tournament Budokai Tenkaichi mode where fighters will be able to gather and decide who the strongest warrior is in the universe. This brand new mode will be accessible through Toki Toki City and will allow players to take part in a massive frenzied brawl and crown a champion for special rewards! Head over to the BANDAI NAMCO Games America press ftp site now (link below) to find today’s new batch of DRAGON BALL XENOVERSE in the “Dragon Ball Xenoverse” folder. 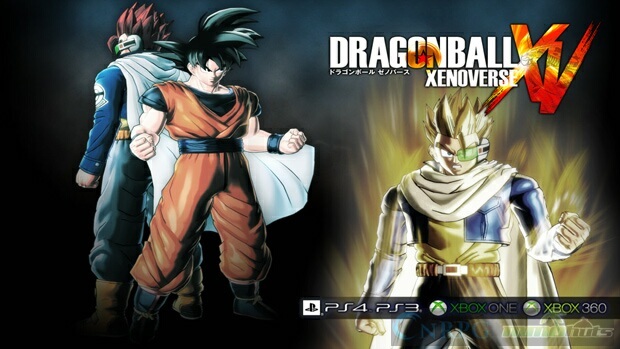 DRAGON BALL XENOVERSE will be available on the PlayStation4 computer entertainment system, Xbox One, the all-in-one entertainment system from Microsoft, PlayStation3 computer entertainment system, the Xbox 360 games and entertainment system from Microsoft, and via STEAM. VALOFE is proud to announce that Atlantica Online is celebrating their 11th anniversary in January 2019. GamerFitNation Inc's CEO, Antward Pearman, has called for a Day of Cease Fire on all online shooters on Friday, December 21, 2012.